Debbie Van Ravenhorst started with HelmsBriscoe August 1, 1994. After being a corporate meeting planner for 18 years, this career change fit perfectly in her lifestyle. Although Debbie truly enjoyed her days as a planner, she now loves to be the resource and support system for her Clients. Having walked in the meeting professional's shoes, she knows what to look for and how to negotiate on her Clients' behalf. Debbie is proud of the fact that HelmsBriscoe continues to be on the cutting edge in industry technology, allowing her to share the newest industry trends with her customers in an efficient and timely manner. As a corporate meeting planner, Debbie orchestrated sales meetings, training seminars, tradeshows, incentives and executive meetings. Her experience gives her Clients an added advantage because she knows what's important to make their meetings successful and will work very hard to provide the best service and information possible. 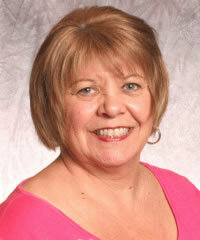 Debbie has been an active member of MPI, Meeting Professionals International, for over 20 years. After 28 years in the hospitality industry, Debbie still has the passion and drive to make every meeting the very best.